Ph.D. (Oxon.) (Zoology); M.Sc. (Zoology) ; B.Sc. Hons (Zoology); Pr. Sci. Nat. Phil is a graduate of the Universities of Cape Town, Pretoria and Oxford with vast experience of wildlife in Africa. 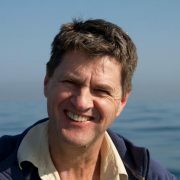 Phil’s zoological background includes over 15 years’ experience as a wildlife cameraman and producer. He holds a Doctorate in Zoology from University of Oxford and was a Senior Lecturer at University of Pretoria for nine years. He has supervised eight Ph.D. and M.Sc. theses on the behavioural ecology of various African mammals and has published over 40 scientific and popular articles. Phil has also acted as the Scientific Advisor for numerous wildlife films. Ziggy was a well-respected and much-loved member of Human Wildlife Solutions. Since the project’s commencement in 2012, she had managed baboons with teams of rangers in the southern Cape Peninsula, dedicating six years of her life to the mission on hand. Ziggy was extremely passionate about wildlife, especially baboons, and always held their welfare as her top priority. Ziggy had a legendary work ethic, would always stand up for what she believed was right and would never compromise on animal welfare. She received a Master’s Degree (MSc) in 2011 in Environmental Management from UNISA’s Applied Behavioural Ecology and Ecosystems Research Unit, where she investigated the elephant impact on large trees and its potential effect on selected fauna. Her wildlife experience included working on research projects with leopards, ground hornbills, vervet monkeys, baboons and elephants. She was a member of the World Commission on Protected Areas – Young Professionals Group. Ziggy is sorely missed by all at HWS, we will strive to ensure her legacy lives on. Bronwyn obtained her Bachelor of Science (BSc) Degree from the University of Cape Town in 2004. She furthered her studies at Rhodes University, obtaining a BSc (Hons) and a Masters Degree in Ichthyology and Fisheries Science. With a passion for the ocean, she started her career in the marine conservation field in 2008, focusing on reducing bycatch of seabirds in local and international fisheries. This type of human-wildlife conflict and stakeholder engagement experience puts her in a good position for her new role at HWS. She has a strong scientific and conservation background, having worked in this field for over 10 years. She has acquired an extensive skill set during this time period which includes project management, financial management, mentoring and management of staff, community engagement, facilitation skills, monitoring and evaluation, environmental education and research experience. Bronwyn joined HWS in January 2018, as the Operations Manager and Area Manager for the South East region. Cath is a highly experienced and capable conservationist with a wealth of practical experience. After completing her Diploma in Travel and Tourism in 2008, Cath spent five years abroad in the United States of America, Australia and the United Kingdom. Upon return to Cape Town, she spent several years working in the Travel and Tourism industry. In 2012 she decided to follow her calling in life and become a conservationist, volunteering in a range of positions while studying towards her National Diploma in Nature Conservation from UNISA. She assisted in a sable re-introduction program in Kruger National Park, volunteered in a marine survey project in Fish Hoek, and worked extensively with several baboon troops in the Tokai region. Cath is registered with the South African Council for Natural Scientific Professions and joined the HWS team in early 2015 as the Office Manager and has since been promoted to an Area Manager. Her interests are in ecology, animal behaviour and primates. Stephanus obtained his National Diploma in Nature Conservation from the Tshwane University of Technology in 2013 and his B. Tech in Nature Conservation from the Cape Peninsula University of Technology in 2017. Stephanus worked at the Timbavati Private Nature Reserve during his practical year, in 2013, as an Ecological Technician and has extensive experience in the care and breeding of various large predators, game capture, animal off takes, game counts, anti-poaching, ecological burning, invasive alien clearing, veld condition assessments, erosion control and the compiling of management plans. Stephanus joined the Human Wildlife Solutions in November 2013 as a field manager and has since been promoted to an Area Manager. Her excellent inter-personal, problem solving and administrative skills stems from her project management and legal administrative background. Kim was previously employed at a local environmental consultancy where she provided support and co-ordination on a variety of environmental assessment projects, public participation processes, environmental monitoring and control and assisted with the implementation of environmental management systems. Kim also has experience with the compilation of Environmental Management Programmes and has four years’ experience as an independent Environmental Control Officer, monitoring and reporting on construction activities as well as providing environmental training and education to site labour. Her legal administrative background at two local environmental law firms contributes to her proficiency in the drafting and formatting of communications and reports. Furthermore, she holds a national qualification in Project Management, a Paralegal Diploma and secretarial and minute taking certificates. Kim is an analytical thinker, passionate about the well-being of people and animals and aims to maintain professional and meaningful relationships. N. Dip (Nature Conservation); B.Tech (Nature Conservation); B-Com Honors (Tourism and Hospitality Management); Cert. Sci. Nat. Calford holds a Bachelor of Technology in Nature Conservation as well as a Bachelor of Commerce (Honors) in Tourism and Hospitality Management. He took a different career path in conservation soon after the completion of his Tourism studies. In 2013 he worked at the Southern Section of Table Mountain National Park as a Nature Conservation Work Integrated Learning student. He researched on the dietary composition of the invasive Xenopus laevis to determine its effects on the lives of the endangered Xenopus gilli. In 2014, he worked with the Endangered African Penguin at Table Mountain National Park’s the Boulders Penguin Colony as a Penguin Monitor through Cape Town Environmental Education Trust (CTEET) while studying towards his BTech in Nature Conservation. He did research to determine the Breeding success of African Penguins nesting in artificial nest boxes. He was soon promoted to the position of Penguin Monitor Supervisor in 2015, a position held until he left the organization in 2017. Calford joined HWS in 2017 as a Field Manager and was soon promoted to the current Response Manager position in 2018. Nick completed his Bachelor of Science (BSc) in Botany and Zoology in 2016, followed by his BSc Honours in Biodiversity & Conservation Ecology in 2017 at the North-West University Potchefstroom Campus. During his studies he volunteered as a fieldwork assistant on different research projects including large carnivore research and small mammal population surveys. For his Honours research project, he investigated the use of post-mortem examination of the Phofung River Frog (A. hymenopus), using histology to determine the presence of the amphibian chytrid fungus (Batrachochytrium dendrobatidis) and degree of pathology associated with infected tissue. Nick joined HWS in March 2018 soon after obtaining his Honours degree and worked as a Field Manager until he was promoted to his current position as Response Manager in December 2018. Kim started at HWS in 2018. Kim has carried out several years of field research on primate behaviour involving vervet monkeys and chacma baboons in South Africa, as well as spending a year in Zambia researching kinda baboons. Kim has been involved with various environmental education sessions, has run monthly conservation club meetings, and has worked with local communities to improve capacity-building skills. Kim completed her Bachelor of Arts Degree in 2006. After working in online marketing, she decided to follow a career more aligned to her passion for the environment. In 2016, she received an Advanced Diploma in Nature Conservation from UNISA. She is currently working towards a Postgraduate Diploma in Nature Conservation (equivalent to a B.Tech) through UNISA. Her Honours project focused on human-wildlife conflict between suburban residents and chacma baboons in Hermanus, South Africa. She has also volunteered in a range of positions while studying towards her National Diploma, gaining experience in various fields such as small mammal captures, river health assessments, park maintenance, and alien species control. Her interests are in ecology, human-wildlife conflict, animal behaviour, integrated resource management and environmental education. Luke has always had an interest in animal welfare, behaviour and conservation, which led to him to his studies. Luke obtained his Bachelor of Science (BSc) Degree from Swansea University in 2015. He then spent the next few years working as a manager within the business and sales industry in the Uk. In 2018, Luke decided to return to his passion and completed his master’s in research (MRes) at the University of Roehampton, London, where he studied primate behaviour and conservation. During this time, he travelled to, Kenya, where he completed his own research project, looking at the effect that the presence of domestic dogs can have on the daily behaviour of Sykes’ and vervet monkeys. This is Luke’s first position since obtaining his master’s degree and is very enthusiastic and keen to learn and be an important part of the HWS team. Luke joined HWS in February 2018, as the Assistant Research and Development Officer manager. Phillip holds degrees in zoology and geography including an M.Sc. degree in Zoology focussing on wildlife management. 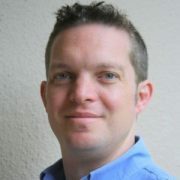 He has formal training in GIS software and has experience in aquatic ecology and water quality measurements. Additionally, Phillip has done specialist zoological studies for environmental impact assessments and worked as a laboratory and teaching assistant at the Department of Zoology and Entomology at the University of the Free State. Phillip is passionate about conservation and a real tech head, consequently, he is now responsible for managing HWS’s tech hardware which includes GPS tracking collars. Phillip Joined HWS in 2015 as an intern and has since been promoted to Research and Development Officer. Tara completed her National Diploma and Bachelor of Technology in Nature Conservation at the George Campus of Nelson Mandela University. Through her studies she had the opportunity to part take in game counts and captures of large animals and assisted with data collection in mapping of vegetation, collection of dung samples, reptile capture, spider capture, population counts and monitoring of pangolins. Tara has had continuous opportunities to spend time in the various protected areas in and around Cape Town and developed a passion for conservation. This has lead to her further understanding the behind the scenes actions of conservation within Cape Town. Tara joined HWS in 2018. Phil is busy completing his Masters Degree through the Centre for invasion Biology at Stellenbosch University. His project revolves around invasive plants within urban settings. He has worked with the City of Cape Town’s Invasive Species Unit where he was responsible for locating, identifying and mapping invasive species as well as gaining access to private property and managing teams responsible for invasive plant control. He subsequently worked for the South African National Biodiversity Institute (SANBI) in the Western Cape team of their Early Detection and Rapid Response Programme where he conducted field verifications, herbicide and other control mechanism trials as well as compiling post border Risk Assessments for listed and suspect species. In his spare time he heads up an NGO tasked with looking after the ecology of an urban river in Cape Town, the Friends of the Liesbeek. He is a passionate conservationist who believes in the strengthening of natural ecosystems through the removal of threatening invasive species and is particularly keen on a pragmatic, ‘get-it-done’ approach. He believes education is a vital tool for conservation and loves the opportunity to inform people from individuals to auditoriums full, about the wonders of nature and how we can all help look after it. Anthony is a graduate of the University of Cape Town having completed his studies in 2006. Through his tertiary studies Anthony developed a strong knowledge of plants and invertebrates. He has a broad interest in both flora and fauna and having spent over 5 years employed in conservation areas in South Africa he has lectured and supervised students in nature conservation and mammal research. He has a well-developed understanding of game management including captive breeding programmes. Anthony believes strongly in the development of human capacity through environmental projects and sees great opportunity in supporting disadvantaged communities through upskilling and job creation programmes that the management of invasive alien species require. 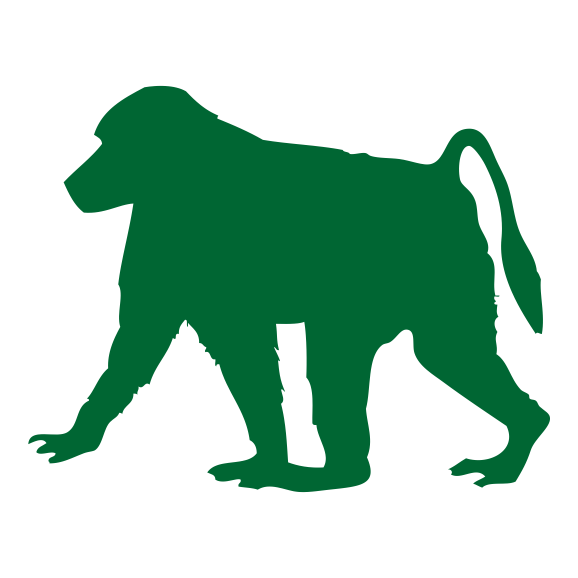 The Baboon Hotline is an emergency helpline for reporting baboon issues and incidents.